In the aftermath of last week’s debate on Britain’s place in the European Union, UKIP leader Nigel Farage had gall to say that he admired the tactics of the despotic Russian president Vladimir Putin. Not that he admired Putin as a person, agreed with his annexation of Crimea or supported his policies in any way, mind you – just that he thought Vladimir Putin had played a good hand and used methods both conventional and shady to advance the national interest of his country. To hear Deputy Prime Minister Nick Clegg’s subsequent shrieks of outrage, quickly repeated and parroted thoughtlessly by numerous political commentators and talking heads, you would think that Nigel Farage had whipped a large Soviet flag out from behind his podium and paraded up and down with it during the debate, singing the State Anthem of the USSR at the top of his lungs (incidentally, it’s a cracking piece of music). 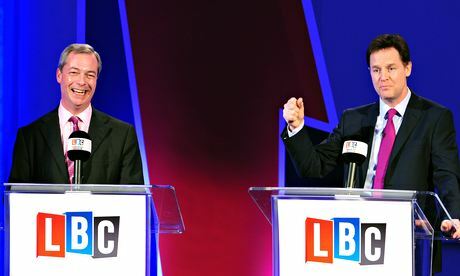 The second live televised Leader’s Debate on the EU will take place tonight, and given the establishment media’s heroic efforts last week to spin the results of the first as a victory for the hapless Nick Clegg – until overwhelming reality and the results of a YouGov poll made their position indefensible and forced a sudden reassessment of Farage’s performance – this blog aims to clear the fog of war which still threatens to obscure what Nigel Farage actually said (eminently reasonable) and what he has subsequently been accused of saying (treachery). The recognition of Putin’s moral failings and outrage at Russia’s insidious suppression of free speech was not enough to save Farage from what followed. The point was clearly that Russia has been running rings around a hopelessly divided (and in some cases, morally equivalent) international community, not that Russia pursued a just or worthy course of action. “It shows quite how extreme people can be like Nigel Farage when their loathing of the European Union becomes so all-consuming that they even end up siding with Vladimir Putin in order to make their point. A heady mix of deliberate misrepresentation and the sadly typical denigration and talking down of Britain’s capacity to act in it’s own interests on the world stage such as this would be remarkable coming from anyone other than the Liberal Democrat leader and our Deputy Prime Minister. How very revealing. 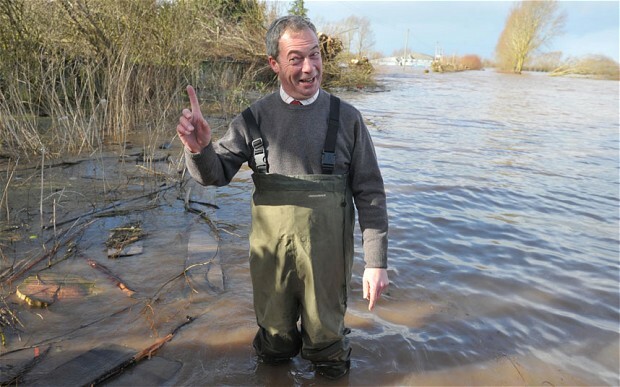 When asked which world politician he most admires, Nigel Farage chooses, of all people, Vladimir Putin. While others might have sought a successor to Winston Churchill or Nelson Mandela, Farage fawns over an autocrat who has made Russia the least free country in Europe – a man who locks up his political opponents and has just invaded his neighbour, annexing part of its territory. Rifkind also chooses to go with the trusty trick of blatant misrepresentation. Nigel Farage was clear to add the caveat “as an operator, but not as a human being” before making his comments about Russia’s effective foreign policy. Those key words by Farage, which place his remarks in context and which came literally right before the ones that Rifkind quoted to support his diatribe, seemed to sail past his ears unnoticed. [Farage’s] irresponsibility has not just been restricted to Putin’s behaviour in Ukraine. He described Putin’s policy on Syria as “brilliant”. Does he not realise that Russia has vetoed every resolution in the UN Security Council that was aimed at pressing Assad to end his murderous violence – which has led to the deaths of over 140,000 Syrian men, women and children? Does he not know that without Russian arms supplies, the Assad regime would have been forced to negotiate an end to the civil war two years ago? Again, we see the deliberate, false equating of Farage’s admiration of the brilliant execution of an terrible policy with actual support for that policy. But the two are clearly not one and the same, no matter how much the prevailing climate of political correctness may insist that because something is judged by the collective to be bad, all aspects of it must be denounced as equally terrible and any positive aspects be purged from discussion and memory. Russia’s annexation of Crimea is outrageous and terrible – on that much, nearly everyone aside from Russia agrees. But to stop at saying that is not enough for the politically correct pundits of today. In this world, because Russia has done this terrible thing and made itself persona non grata in the international community, we all must now say that everything about Russia is bad, and never acknowledge any good until we are told by our superiors that it is safe to do so. To be fair, Russia makes this task quite simple. Through their domestic and foreign policies on any number of issues, that country has placed itself on the wrong side of human rights, freedom of speech and even the arc of history. 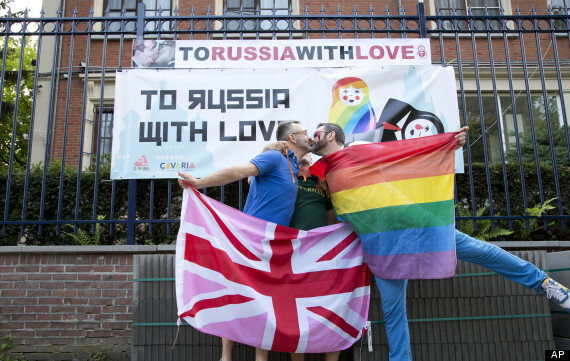 The lamentable implosion of Russia’s nascent democracy is well known, as are the stories about increasing suppression of free speech, the government takeover of the media and Russia’s appalling record on civil rights for gay people. But why must all of these misdeeds be meticulously restated before a British politician can say the truth – that despite Russia being completely wrong on all of these issues, they played their foreign policy hand really well in support of their own national interests? Farage’s sin was to say that he admires Putin as a political leader, although not as a human being. Why this is controversial, I have literally no idea. Farage made it abundantly clear that he regards the Russian leader as a despot (“How many journalists in jail now?”); he simply thinks that he outwitted Obama on Syria. I think that; you think that; even Obama probably thinks that … Ah, but you can’t say such things out loud because the consensus in Westminster right now is that Putin is Hitler, Ukraine is the Sudetenland and anything less that outright Russophobia is treachery. And probably a little bit homophobic. Precisely. Believing that Putin outwitted other world leaders in terms of the response to the awful situation in Syria does not imply support for Putin’s position, just as believing he is currently one step ahead with regard to Ukraine does not mean that Nigel Farage wants Russia’s gamble to succeed. And that’s Farage’s real sin: he dares to be different. Contemporary British politics works by an unusual degree of consensus. All three party leaders want to stay in the EU, all wish to preserve the principle of the welfare state, all back gay marriage, all accept the need to go green, none will challenge the concept of open borders on immigration. Some or all of these positions may well be right – that’s not the issue. The issue is that this homogeneity of opinion is fundamentally undemocratic. In democracies, voters are supposed to be offered real choices rather than one establishment philosophy spun three different ways. To make matters worse, the party leaders now not only sound alike but also lookalike. This much is true, and scarily so. The sad fact is that the British political elite have imposed a consensus on society that the people themselves have not yet reached. For good or ill (okay, for ill) there is a large rump of opinion within the British population that would bring back the death penalty in a heartbeat, scrap the new legalisation of gay marriage, become Fortress Britain for immigrants seeking the right to work, and undertake any number of other regressive policies. But in Britain the elite went ahead and determined the “correct” answer to all of these issues on behalf of the people but without seeking their input, and so the debate is continually suppressed – except for when it bubbles to the surface manifested as support for the insurgent or extremist parties. Contrast the situation in Britain with that in the United States. The political debate there is no more enlightened or informed, but there is still the sense that they debate important issues, often from diametrically opposing viewpoints. The US senate hears strident views from such diverse characters as self-proclaimed socialist Bernie Sanders, the senior senator from Vermont, as well as the fire-and-brimstone filibusterings of Tea Party darling Ted Cruz. And people with views anywhere within this spectrum are made to feel welcome in the political debate. As a result, though the American process is a lot slower, louder and more contentious, when political unanimity is finally reached (and it takes a long time – civil rights has more or less just crossed the line, with gay rights looking at another 30 years of toil) it is much more strongly reflected in the people, and is consequently much more likely to stick. The difference could not be clearer – a lively national debate where everyone feels they can speak and be heard, or the stultifying restrictions of an artificial consensus imposed by the political elite. Now faced with a politician who refuses to follow the approved talking points on Russia, these weasely politicians who came scurrying out of the woodwork to denounce Nigel Farage over his comments are deliberately misleading the public and attempting to change the narrative. 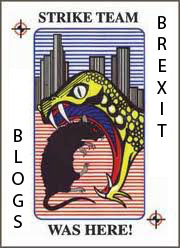 Hell, let’s call a spade a spade – they are lying, deliberately lying to the British people in the political establishment’s latest doomed attempt to make Nigel Farage, the UK Independence Party and the millions of people who share his viewpoint seem extremist, weird and dangerous. All of these armchair pundits know what Nigel Farage meant when he said he admired the direct effectiveness of Vladimir Putin’s assertive foreign policy as compared to the dithering and retrenchment which have all too often characterised the governments of David Cameron and Barack Obama. But why let a non-story go to waste when words can be twisted and mischaracterised to falsely make their speaker sound like the CEO of the Vladimir Putin Fan Club? Of course, all of this kerfuffle could have been avoided if Nigel Farage had chosen his words more carefully. Had Farage prefaced his words with a lengthy (but surely unnecessary) denunciation of Russia’s behaviour and Putin’s morals, he might have escaped censure by the self-appointed moral arbiters of British political debate. That’s exactly what they want to happen, and it is why they are now so furious with the idiosyncratic UKIP leader, resolved once more to try to drive him out of British politics. In the heavily thought-policed world of Nigel Farage’s critics, no opportunity to say The Correct Thing should ever remain unseized. If you want to make a point about the effectiveness of Russia’s foreign policy then that’s okay, but by God you had better utter the cross-party approved talking points before you do so. Only once all of your political pronouncements become entangled in endless disclaimers and footnotes grounding them in established political correctness will these meddling people be satisfied. Westminster is going to continue hitting its head against the brick wall of public antipathy towards politics-as-usual. The more that Farage acts up, the more different he seems, the more the establishment will hate him, the more the voters will like him. 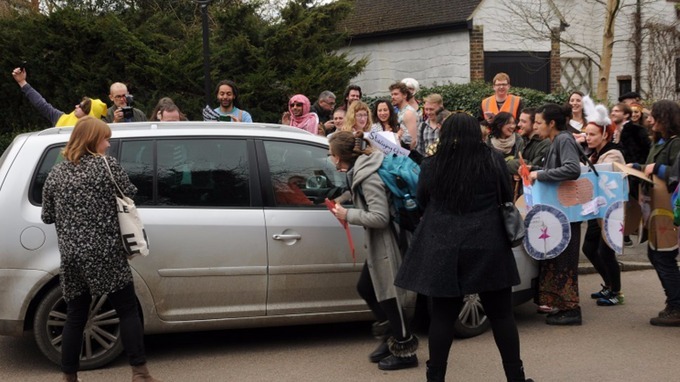 And there, right there, is the popularity of Nigel Farage. Political correctness and towing the establishment party line? He will have none of it, thank you very much. Whether you like his political stances or not, he is the only leader of a major political party in Britain who remains willing and able to speak honestly and passionately as though he isn’t reading from a focus group-approved script. How richly will the voters reward him in May’s elections for daring to talk like a normal human being? The next Leader’s debate on the European Union takes place tonight (Wednesday 2nd April) at 1900 BST, and will be shown on BBC Two. Former US congressman Ron Paul (R-TX) is nothing if not consistent – an admirable and all too rare quality in a politician. But just sometimes, the unflinching adherence to a particular principle or policy can be a bad thing – witness the Tea Party’s stance on taxation, the National Security Cheerleader Caucus’ enthusiasm for government surveillance, or the legislate-by-Bible-verse preference of the religious right. Ron Paul has now sadly joined this group of ideologues, not because many of the points that he makes have suddenly stopped being timely, persuasive and correct, but because he now makes them in such a way that they no longer inform or educate, but merely generate material to be used by enemies of the United States and the West as ready-made propaganda pieces. Indeed, some of Paul’s recent pronouncements on the Ukraine crisis and the Russian usurpation of Crimea are so one-sided and so determined to examine only the faults of the West while negating or ignoring the faults of Russia, that one wonders what his motivation could possibly be. Paul seems to be adopting a one-man Fox News Strategy, whereby he single-handedly attempts to redress what he sees as an inherent bias or gross imbalance by coming down incredibly hard on one side of an argument – whilst proclaiming all the while to be fair and balanced. But what do the US taxpayers get, who were forced to pay for this interventionism? Nothing good. 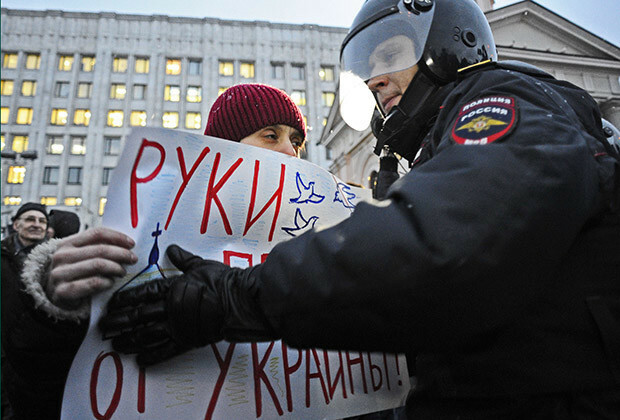 Ukraine is a bankrupt country that will need tens of billions of dollars to survive the year. Already the US-selected prime minister has made a trip to Washington to ask for more money. As with most effective attempts to mislead, there is just enough truth contained in this statement to suggest respectability and provide a stepping stone to reality, but not too much that it might get in the way of the misinformation being delivered. It is certainly the case that the National Endowment of Democracy, a private and non-profit organisation, is active in Ukraine. But the NED is not secretive about this fact. Indeed, they detail all of their activities and funded initiatives across all of the countries where they work on their own website. Details of their funded work in Ukraine can be read here. It is certainly possible that organisations such as the Human Rights Training Center or the Ukrainian Catholic University are nothing but shadowy US puppet organisations, greedily taking in American taxpayer money and using it to subvert the will of the Ukrainian people, just as it is possible that Barack Obama became president of the United States for the sole purpose of gathering material to aid in his upcoming romantic comedy about living and working in the White House. Possible, in other words, but eyebrow-raisingly unlikely. But the narrative sounds very good to anyone predisposed to view any American or Western activity with suspicion, and so by floating unsubstantiated assertions that western-funded NGOs are doing anything other than trying to promote and build the strong institutions required for democracy to flourish, Paul is playing into a harmful narrative which misconstrues the intentions of his own country and those of the West. Iraq was certainly very recent, but to make a blasé statement such as this without giving a thought to the many differences between the invasion of Iraq (non-permanent and not for acquisition of land) – however terrible and wrong it may have been – and the Russian invasion and annexation of Crimea, is propagandist point-scoring at its worst. No strangers to propagandist point-scoring themselves, the Kremlin-funded Russia Today network predictably seized on Ron Paul’s latest op-ed, and folded it into their continuing efforts to spin the Russian invasion and annexation of Ukraine’s sovereign territory as something entirely consistent with international law, recent precedent and human decency. According to Paul, high-funded intervention doesn’t equate to spreading democracy. Instead, he wrote, the US has invested in a country where power has been passed along not by the way of a democratic election, but rather the ousting of the country’s presidents by his opponents. Of course, the regime of Viktor Yanukovych ousted by the supposedly undemocratic popular uprising in Kiev was itself busily trying to subvert the Ukrainian democracy by cracking down on freedom of speech, silencing dissent and dramatically increasing the powers of the president, which rather muddies the waters and exposing the Ron Paul / Russia Today line as the one-sided propaganda that it is. Ron Paul accuses President Obama of doing many of the things in America that Viktor Yanukovych did in Ukraine, albeit on a slightly smaller scale – certainly, Obama’s war on whistleblowers and the surveillance state that he has tolerated and expanded can be said to chip away at the foundation of democracy. And yet this outrage at the illiberal policies being enacted in America is nowhere to be found when he looks at the former Yanukovych government, who, for all Paul seems to know or care, were benign arbiters of justice and democracy, unjustly pushed from office by a baying mob of anti-democracy fanatics. If the recent Edward Snowden / NSA / surveillance debate have taught us nothing else, we have at least been reminded that democracy and its institutions are fragile and never more than one generation away from serious damage, subversion or destruction. When countries such as Britain and America – who have traditionally held aloft the flame of liberty and democracy – now suffer under governments that think nothing of secret surveillance of their own citizens, detain people or subject them to indefinite curtailments on their freedom without trial or allow those who permitted torture to take place to avoid justice, how much more fragile and in need of support must be those nations with a much shorter history of democratic government? And in this context, is NGO money spent to strengthen democratic institutions in countries around the world not one of the best investments that the West could make? The suggestion is not that Ron Paul has no right to speak out against past US failings – he has a longstanding and admirable track record of doing so. But the problem comes when his zeal to remind people of past US and Western failings leads him not to condemn those same actions by other countries, but rather almost to praise them as a perverse means of restoring parity within the global order. Our Western partners, led by the United States of America, prefer not to be guided by international law in their practical policies, but by the rule of the gun. They have come to believe in their exclusivity and exceptionalism, that they can decide the destinies of the world, that only they can ever be right. They act as they please: here and there, they use force against sovereign states, building coalitions based on the principle, “If you are not with us, you are against us.” To make this aggression look legitimate, they force the necessary resolutions from international organisations, and if for some reason this does not work, they simply ignore the UN Security Council and the UN overall. They did it before, so now we can do it, too. 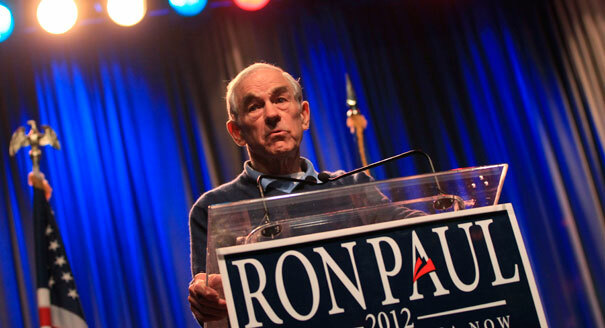 Ron Paul is in many ways a visionary, and is certainly a real American patriot. Which is why it is concerning that he and the dictator from Russia find themselves singing from the same hymn sheet. Not necessarily something to be proud of, but this blog may have finally found common ground with Senator Lindsey Graham. This is a critical moment in world history. The credibility of the alliances and security assurances that have preserved the international order is at stake. If Putin’s illegal actions are allowed to stand unpunished, it will usher in a dark and dangerous era in world affairs. To his credit, President Obama has taken some of this advice – John Kerry is being dispatched to Kiev as an initial show of solidarity. William Hague is heading there too. That’s a good start. But it is the more tangible displays of disapproval that are now required most, from Britain, America and everyone else. That means boycotting the Paralympic Games, freezing the overseas assets of Russian regime officials, and booting the country out of all international organisations such as the WTO and the G8. Revoking some visas and cancelling all intergovernmental cooperation on everything would also go some way to showing that Russia cannot behave in this way and expect to remain a respected part of the international community. 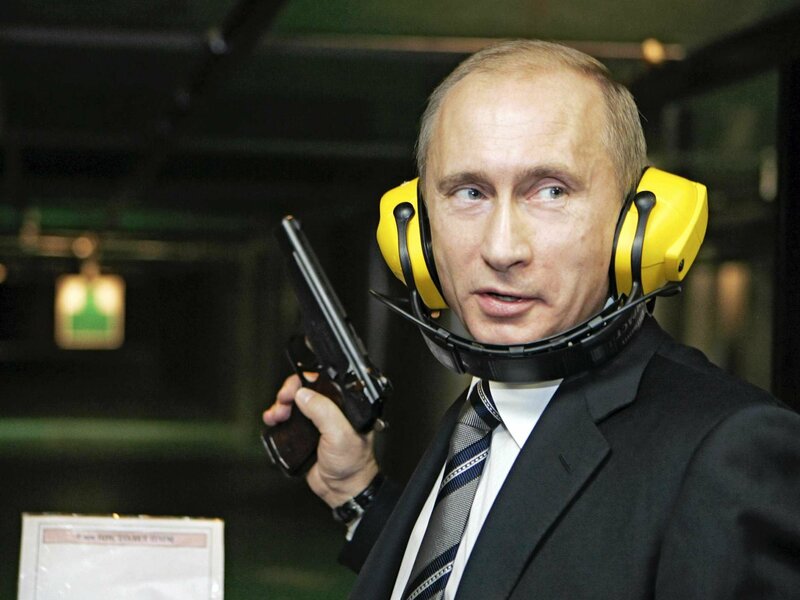 And if Putin retaliates by turning off the gas supply? Well, maybe the governments of Britain and Europe should have paid more attention to their energy security.